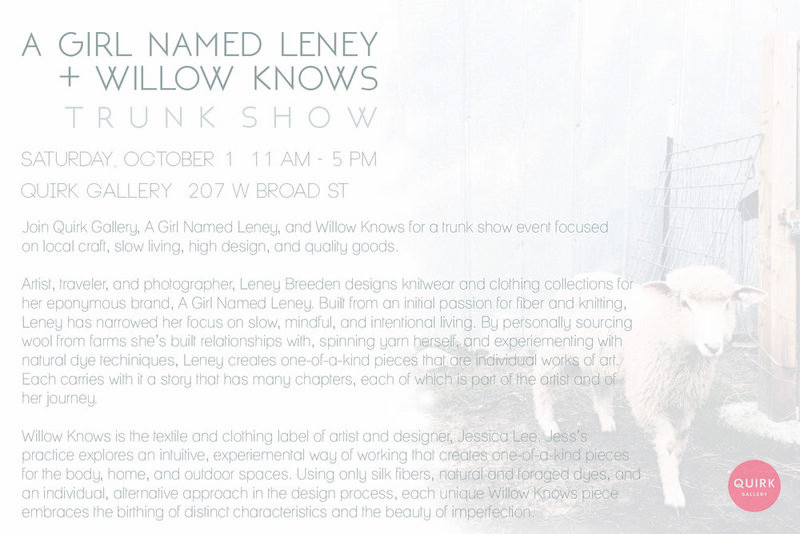 Excited to announce a trunk show I will be having at Quirk Gallery along with my lovely friend Jess of Willow Knows! 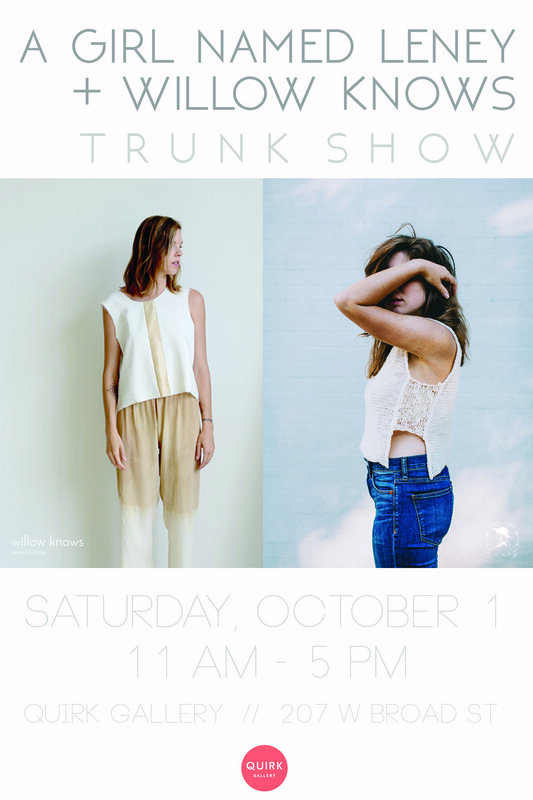 It will be held a week from now on October 1st from 11am-5pm at Quirk Gallery which is located next to Quirk Hotel at 207 W Broad in Richmond. You can find more details and RSVP at the Facebook event page here. Hope to see you there friends!